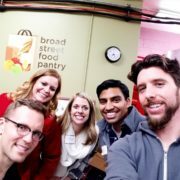 Columbus Gives Back – Volunteering made easy! We organize one-time volunteer events in relaxed, social settings that are scheduled to fit busy schedules. Columbus Gives Back provides social volunteer and philanthropic opportunities for young professionals to create a culture of community engagement in central Ohio.